Reaching Mon way too early in the morning, shivering in the biting cold, we were blessed to see the first sun rays of the day glitter the entire sky from behind the mountains providing us the much needed sunshine. Though headhunters lived among every Naga tribe, the Konyak tribe in Longwa and Mon is where we found men sporting tattoos on their face which symbolizes only one thing- these men have actually severed heads during raids. We had come to Mon just to catch a glimpse of these men, little did we know that we would dine with one and spend time with a couple of others and have a friendly chat while they were smoking up fresh opium in their wooden pipes. After a tedious ride to this extreme remote corner- Mon, it only made sense to reach Longwa a border town in between India and Myanmar. While we were waiting for a shared taxi to continue our journey to Longwa village, we saw a tattoo faced man walk past us. It was hard to imagine that such a frail body had severed many heads during his early days. But his eyes spoke a lot, the hardships that he had seen- how things have changed from being the most feared headhunters to completely transforming to urbanization. Do not be surprised if you come across people carrying guns. Here people seem to carry guns just like how we carry our phones and it is routine to hear gunshots. They could either be hunting birds or celebrating. Most of these guns are locally made and they tend to use it regularly, of course they have never heard of needing a license to own one. A drive of 3 hours and we reached Longwa Village. The roads are in terrible condition and a total distance of 41 km takes 3 hours. Despite a difficult and lengthy journey, on reaching Longwa we realized how beautiful, rewarding and memorable this trip has been. Apart from the headhunting tribe, Longwa Village is famous for its borders. This village shares boundaries with Myanmar and the Chief's House or the King's Palace is right between the international border with one half of the house in India and the other half in Myanmar. The tale that keeps doing the rounds is the Chief has his meals in Myanmar and sleeps in India. The Chief is said to have 60 wives and he seems to have control over not just the villages in India but also the villages in Myanmar. While we were visiting the chief's house, we met the Myanmar Village head who had crossed the border and was paying a visit to the Chief. This cross border travel for these villagers have been left untouched. They do not require a passport or visa, they can just cross over and meet the neighboring villages no matter which country. The Kings palace would also be an excellent place to pick up souvenirs from Longwa. The hand made bamboo smoking pipes, wooden carvings, jewelry and the list goes on. All of them are reasonably priced and make for an ideal memento. The Mithun skulls and the massive buffalo horns make the chief's house look spectacular. Earlier the homes were adorned with the skulls of heads severed but once headhunting was banned these homes now just display the skulls of animals. A short relatively easy hike to "Pillar 154" in Longwa officially marks the end of Indian territory and start of Myanmar. One side of the pillar has inscriptions in Hindi and the other in Burmese. Apart from the pillar, there is no other sign that depicts the international border. The views of the valley and Longwa village from here is spectacular. 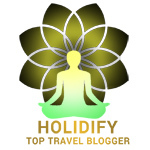 Though you maybe tempted to venture into Myanmar do respect international boundaries and save yourself the trouble. Zero point which is on the other end of the village, is an interesting place and this is where India's territory ends. You can catch a glimpse of the valleys of Arunachal, Myanmar and Nagaland all from this point. Though the tribes belong to the same state, their cultures are very different. Not just the way they dress or their cuisine but even the way they have built their homes are very different. The typical Konyak homes are long and lengthy and have thatched roofs. There are many Morungs or bachelor dormitories in Longwa. These morungs were more like educational institutions where the young folks would learn more about their culture and develop skills for sustaining livelihood. These morungs again have the typical Mithun skulls, carvings and massive Log drums. The log drums were telegraphs of those days and were used to send out long distance messages. Agriculture is the main source of income for the residents of this village. While it is mostly the women of the household who work in the fields, you can see the men hooked on to opium at any time of the day. At the end of the day, the household members gather around the kitchen fire and eat their meals. Catching a glimpse of the tattoo faced headhunters was a beautiful moment but dining with them while they shared their gruesome stories of the past was a different ball game altogether. To calm the atmosphere, there were rounds of opium being passed along. Watching the art of smoking unadulterated opium was an experience of a different kind. It was amazing to smoke out of bamboo pipes all thanks to a friendly tribes man who was kind enough to prepare a joint using local herbs and the whole preparation took an hour. We sat around a small bonfire and it gave us a feel of a little meth lab, all natural one. The only stay option in Longwa village is a home-stay "Jeilei's Guesthouse." This incredible place let us experience the Konyak lifestyle in its true form. Their massive kitchen has a central fire place where food is slow cooked and is the ideal place to continuously sip black tea, have lengthy conversations and get to know one another. An interesting aspect about the kitchen is the extensive collection of rural and traditional artifacts such as the real beak of a hornbill, wooden carvings, the dao (Konyak axe) and a muzzle loading gun. The food is as organic as it can get and their service is excellent. They take great care and try to give their best. The rooms and sheets are clean and they provide you with thick quilts to keep you warm and the rooms have incredible views of the valley. They charge Rs.500 per bed per person. Food is charged at Rs.200 per person per meal. It is a perfect village home with a common bathroom so do not expect any modern amenities. Though figuring out the house might take sometime as they do not have any sign boards. You can reach them at 8732093138. The best way to reach remote Longwa village is to take a bus from either Dimapur or Kohima to Mon. Many private players operate bus in this route. After much debate and comparison we opted for 'Blue hill Travels' as they operate very comfortable buses with decent legroom. The tickets are priced at Rs.700 per person. The buses to Mon leave at 2:30 pm and from Mon at 3:30 pm. Nagaland State Transport also operates super deluxe buses to Mon but only from Dimapur. After reaching Mon, we had to wait for another 3 hours for a shared sumo ride to Longwa. Needless to say it was on dusty, bumpy and terrible roads. These taxis are available from Mon fire station junction. One can reach Mon from Wokha via Mokokchung but there is no direct bus or shared taxi. One has to take a taxi to Mokokchung (keep in mind there is only one that leaves at 7 am,) reach Mokokchung, halt for a day and then take another taxi to Mon from there. You have to wait until all ten seats are sold out so keep in mind to go to a taxi service where you see a bit of crowd. Our perilous journey to the land of most ruthless headhunting tribe- Konyak tribe started with a grueling 14 hour bus journey from Kohima to Mon via Assam. This is the best among the worst route one can take. The 352 km distance of bad to terrible roads is covered on an overnight bus journey. Keep in mind that Mon does not offer decent stay options to stay overnight. Also, there is only one decent food joint "Hungry Hope." It would be a good idea to stock up some snacks as there are no hotels. P.S: Due to the abundant availability of Opium in Longwa village it becomes an easy opportunity for drug peddlers to make quick bucks. To curb this menace the villagers ensure that contraband is not smuggled out of the village, all vehicles and bags are subjected to extensive checking. Respect the law and do not attempt to carry drugs out. 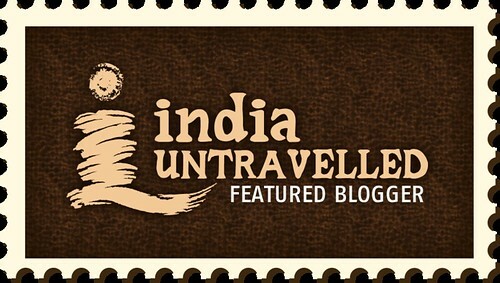 Never knew this aspect of travel, this is truly a story of India Untravelled!I see your blogs to be the best way to learn about India and its glory! Thanks a bunch for such kind words, humbled. Brilliant pictures! Kudos to you for your efforts and passion. Your work shows the amount of handwork your must have both put into this! Brilliaqnt photo's and excellent detailedexplanation. I will be visiting North East in March 2018 and would like to know if ordinary Indian tourists are allowed to visit Longwa village or is special permission required before visiting the village.